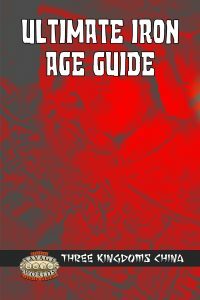 View Cart “Ultimate Medieval Guide: Knights Templar (Savage Worlds) [PDF]” has been added to your cart. The wind swept isles of Albion have long held the popular imagination, and legends are still being invented about the Celtic peoples. In modern times, the Cornish, Welsh, Scottish, Irish, and Manx are the heirs to the Celtic line. In ancient times, the Celts were spread across continental Europe and the Isles. They held great kingdoms and were skilled on horseback, at crossing the oceans, and at strength of arms. Ultimate Iron Age Guide: Celts is a sourcebook that seeks to convey a handful of polished gems made from the myth and history of the Celts, ensuring you can utilize these people and their legends in your games. Remembered for their ferocity in battle, their bravery that bordered on foolhardiness, and their love of land and place, the Celts are as much a people of story as they are people in history. A brief history of the Celtic people. A look at the Celtic lands. An overview of Celtic mythology. Options for creating Celtic characters. Ultimate Iron Age Guide: Celts can lay the groudwork for a historical or alternate history adventure set within the Celtic lands of old. It can also be used as a guide for creating Celtic characters within fantasy games.